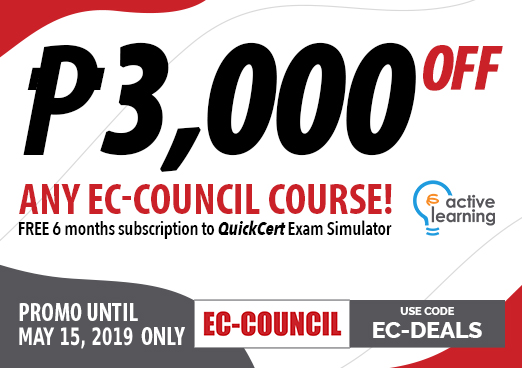 EC Deals – ActiveLearning, Inc.
Get P3,000 discount on any EC-Council course! FREE: 6 months subscription to our QuickCert Exam Simulator. Maximize your chances of passing the exam on your first try! To avail of the promo, full payment must be made by May 15, 2019.